Export your final draft with just one click! When you complete your writing project, you need to merge separate draft documents into a single long document for output. This is called compilation and can be done with just several clicks in Writing Outliner. 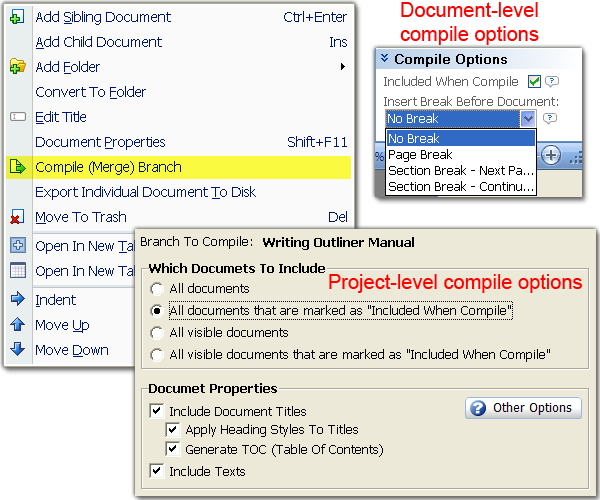 You can select your compilation options such as generating TOC (Table of Contents), applying Word's heading styles, etc.